There are a lot of quotation books on the market, but none are quite like this. 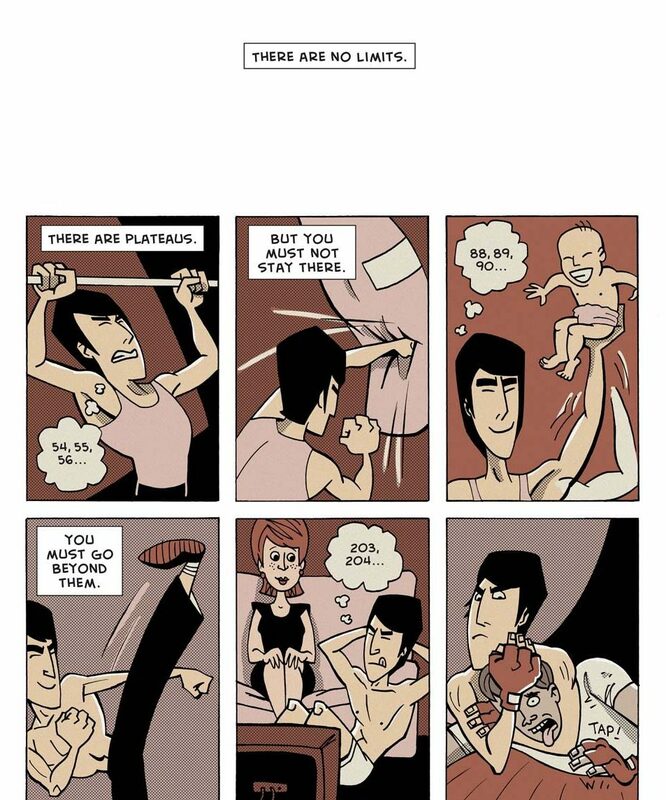 The creator of this book takes some of the most inspirational quotes and turns them into brilliant comic strips. The images enhance the words and hammer the message home in a way that is truly inspirational. When I first picked up the book and opened it randomly, I saw Taylor Mali’s brilliant “What Teachers Make.” I originally encountered this speech in a spoken word, poetry performance on YouTube. It inspires me to be a better teacher and not let anyone degrade my choice of profession. I really liked seeing the piece in a different format. It works surprisingly well on the page, but I think I prefer the slam poetry version. There are dozens of great quotes from the likes of Ira Glass, Neil Gaiman, Chris Hadfield, Nelson Mandela, and more. You will probably be familiar with some of the passages, but I am sure you will also find a new favourite in these pages. Also, seeing these tidbits of wisdom transformed into comic strip stories shows how different mediums can be used to deliver a message. Here is a short portion of the Bruce Lee quote. I love how it can apply to school work too. I like that there is a teacher guide available for the book as well. I can think of so many ways that I could use this in the classroom. I would love to cut out some of the individual quotations and post them on the wall. Perhaps, cycling through a different one every week would be a great idea to get students inspired. Another idea would be for students to create their own visuals for passages or quotations that speak to them.